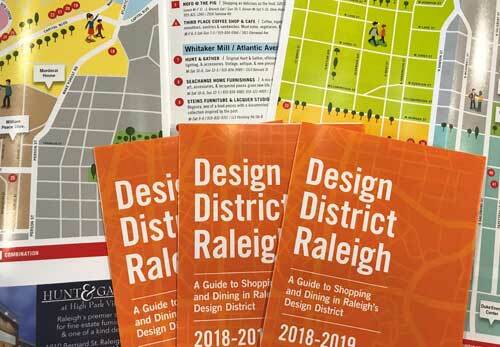 Welcome to Design District Raleigh. Please support and patronize our local Raleigh businesses. These retail design stores have lots to offer from an eclectic array of antiques to gift giving ideas to fabulous accessories for the home and everything in-between. Several businesses also offer custom painting and repair for furniture and lighting. Please read the business descriptions on the map page if you are looking for something specific. Otherwise roam around our district and enjoy all that it offers. If you’re hungry, we’ve got that covered too… eight venues, offering a variety of fare, are also on the map.Thank you for visiting and shopping local.